Since the mere name of a product tagged as a SARM excites the fitness community, many supplement manufacturers are trying to cash in on the idea of SARM and are fooling people. Take Stenabolic ( SR9009) for instance. While it is packaged as a SARM, it is in fact, not one and is more a Rev-ERbA Agonist, like a cousin to Cardarine (GW-501516). Now that the myth is busted, here’s a detailed look into what Stenabolic ( SR9009) is and other things related to it. It is no secret to anyone anymore that fitness buffs, weight trainers, and athletes alike do take supplements, for all kinds of reasons to attain their fitness goals. With that, choosing the right one that fits your needs and bodily requirements is very vital. Unlike anabolic steroids and bodybuilding supplements, SARMs (selective androgen receptor modulator) act as a medium that does work a lot like the anabolic steroid but is not harmful to the consumer’s health. 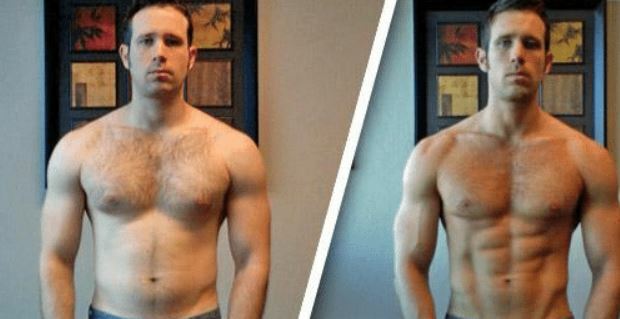 The SARMs are different in the fact that while they do help with endurance, weight loss, muscle build etc, they work in a more subtle way than steroids and supplements. What is Stenabolic ( SR9009)? Stenabolic SR9009 is a type of molecule that attaches itself to another molecule (ligand) which is a Rev-Erba when talking of Stenabolic SR9009. Like other such chemicals or supplements, the Stenabolic SR9009 boosts endurance in the person who consumes it and helps burn fat. The chemical structure of the Stenabolic is such that as it aids in increasing energy by burning fat that results in a higher metabolic rate and helps repair ailments faster. This is the reason why the Stenabolic SR9009 is often mistaken as a SARM due to its similar features. The protein was first developed by professor Thomas Burris for the Scripps Research Institute. Since the findings of the research were so good, after the publishing of the research in 2012, SR9009 shot up to be one of the most widely used supplements by the entire fitness and athletic community. It is unlikely that someone wouldn’t want a supplement that helped them burn fat even when they were not exercising. What does Stenabolic ( SR9009) do? Rev-ERbA is a natural molecular structure found in our bodies. It functions as something that controls metabolism, stores fat cells, and discards dying cells. The lack of this molecular structure leads to lower metabolism, more fat storage and a decrease in the cycling out of dying cells. What Stenabolic SR9009 does is, it sticks onto the Rev-ErbA and changes the gene expression. Therefore the old cells get cycled out faster and get replaced with new and better ones with an increased amount of performance. This makes it a very powerful performance-enhancing drug. The Stenabolic SR9009 basically adds more to the Rev-Erba molecule. It firstly binds the molecule and stimulates the macrophages. This means it takes control over the body’s metabolism and aids in faster removal of dying cells and fat from the body. Once the amount of new cells increases in the body’s muscles, the body starts experiencing a heightened level of strength and endurance. The mitochondria, in this case, become responsible for the production of energy in the body’s muscles and as the macrophages increase, the dead cells get eliminated for new ones to take over. Moreover, the metabolic rate of the body increases and the fat burning process works faster. This process doesn’t stop even when you’re resting, it actually increases by 5% while the body is at rest. This way the Stenabolic SR9009 really helps shed the extra calories without turning them into fat in the body. Research says that activating the Rev-Erba protein by Stenabolic SR9009 works so well that it makes the body believe that it is going through the regular exercise. Added to that, the Stenabolic decreases stored fat in the body and increases muscle by stripping them off of excess fat and glucose. Further research has revealed that it has the potential of reducing total cholesterol in the body by 47%! What happens when you use it? Stenabolic SR9009 increases the metabolic response and oxidizes the glucose which helps the body to get to the stubborn stored fats and diminish them. And though this might sound as if the supplement has the capability to tire down the consumer, it’s completely false. For those who are overweight, the specialty of this drug is that it is completely safe for overweight people to try it since it is not a stimulant. Same goes for the lean, athletes too. The Stenabolic SR9009 increases the body’s running capacity. In addition to this, the oxidation of glucose allows the body to work faster and for a longer duration without feeling over-worked or exhausted. Stimulants are the exact opposite of what Stenabolic does. The addition of this supplement feels like changing for a V4 engine to a V8 engine in the car. As mentioned earlier, Stenablic has the ability to get rid of old cells and replace them with new ones. This amplification of the rate at which the worn out mitochondria gets removed and gets replaced with new ones reduces the soreness the body feels. It is like a gem for a powerlifter. Moreover, research shows that Stenabolic SR9009 reduces the number of triglycerides and the total amount of cholesterol levels which gives rise to the lipid levels and this, in turn, improves heart health in many fitness freaks. How to use Stenabolic SR9009? While the supplement is a great product and can be taken as it is, by itself, the one problem with Stenabolic SR9009 is that the supplement is a short half-life product. A newbie to fitness supplements and proteins should start with the 5mg dosage a day and then with every week, they can add more to their dosage. For those who are fitness enthusiasts and or athletes, a total of 20-30mgs a day is the max they can consume. Since it is a half-life supplement, it is necessary for the consumer to properly schedule dosages through the day to achieve a good balance in the consumer’s body. Depending on the dosage, Stenabolic SR9009 can be taken every 3-4 hours. Stenabolic can also be stacked with other supplements to give a boost to the regime and increase the pace of reaching the desired fitness goal. However, it should be noted that the consumer should be careful of overdosing by mistake. Some of the best supplements to stack Stenabolic SR9009 with include; Winstrol at 50 mg a day. For enhanced endurance stack Stenabolic SR9009 with Cardarine (GW501516) at 20 mg and Equipoise at 300-400mgs per week. Another way of using it is stacking it with a SARM(s) such as 10mgs of RAD140 and 10 mg of LGD. for best results take dosage split daily ( if you take 20 mg a day, take 10 mg in the am and 10 in the pm). What about Safety, PCT and Side Effects? The little problem with Stenabolic ( SR9009) is that it is still a research drug and is not yet approved. This makes it difficult to get verifiable data about the side effects of the supplement. With that, the online market is selling a lot of fake Stenabolic that might give rise to all kinds of side effects. Pure, authentic Stenabolic ( SR9009) is not a stimulant, it is a non-androgenic drug which means it does not alter the consumer’s hormonal profile and thus, unlike prohormones or AAS, the Stenabolic SR9009 will not cause any kind of side effect. Though Stenabolic ( SR9009) is nonestrogenic, not suppressive, nonliver toxic, it should not be abused since, at the base of it all, it is still a drug. PCT stands for Post Cycle Therapy. In the case of consuming Stenabolic SR9009, it is not necessary for the consumer to run a post cycle therapy since it is not a hormone. But, you can only avoid PCT if you are not stacking the Stenabolic ( SR9009) with a steroid or SARM. The inclusion of those will make it necessary for the consumer to use a PCT. Where can Stenabolic SR9009 be bought? Always remembering the fact that Stenabolic is still a research drug and has not been completely acknowledged, it is very crucial for someone who is looking for the product to know that the mass amount of Stenabolic sold online in today’s date is either SARMs or are fake to the core. It is extremely crucial to have a reliable resource to buy research chemicals online and ones that are not induced by prohormones and or steroids. 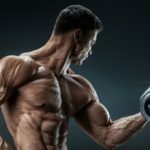 Sarms1.com is one of those sites that sell authentic Stenabolic. Uncle Ben said to Peter Parker (aka Spiderman); “With great power comes great responsibility”. Even in the case of supplements, proteins, drugs, SARMs, enhancement drugs and agonists such as Stenabolic itself, one must be very careful with its usage. Powerful substances such as Stenabolic SR9009 can help and ruin the body. It is the consumer’s responsibility to be extremely strict about the schedule for consumption and the amount taken. Stenabolic ( SR9009) is surely a one of a kind miracle of current pharmacology hat not only has surprising health benefits but is also a really good performance enhancer. Thankfully it has no side effects as well!